This is a graphics demo made in the Unity3D game engine. I worked on this project together with two other students at the university. 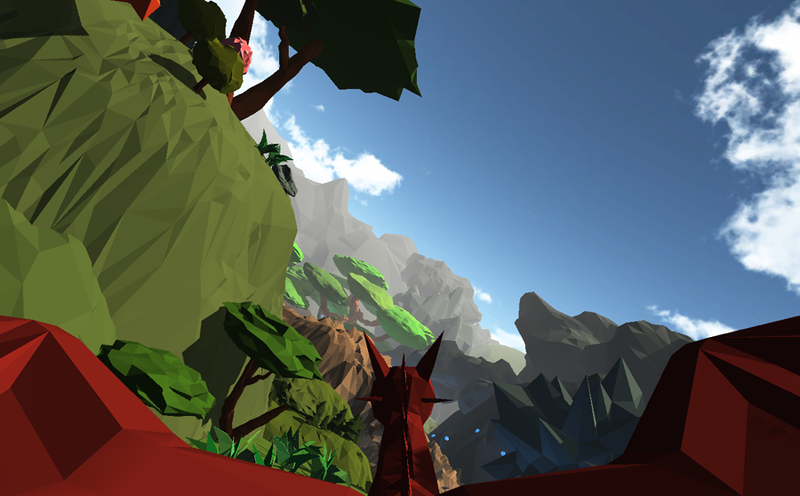 The user controls a dragon that flies through a world made of large polygons. The flight altitude is limited and the world is surrounded by mountains. In the world the user can fly around and explore glowing mushrooms, trees and large “spike ball mountains”. Everything is rendered with “flat shading”. All objects are made from scratch, and by choosing the flat shading technique it was possible the create a relatively large and good looking world in a short period of time. The demo also contains ambient sounds and triggered collision sounds to make things more interesting.